We have another GREAT challenge for you this week and the Design Team have once again brought us some fantastic inspiration! Before we get going, it's obviously Tuesday - and not just any Tuesday, it's DIGI CHOOSDAY! And I am super excited to share with you all a sneak peek of our upcoming release Work & Play Collection 2 which is available for pre-order NOW, despatch date for the CD-Rom is April 1st!! Or you can buy the characters from our Digi Downworld Store from next Tuesday!! More fantastic characters to fall in love with, trust me if you loved Collection 1 you are going to ADORE Collection 2! So let's get to the challenge. You have until 8th April at noon GMT to enter and the winner will receive a free digi bundle from the store! Great prize! Our Top 3 favourites will also win a digi each and will all be on the list of prospects who will be asked to be a Guest Designer in April! Well done! You've won a digi bundle so please email us here to claim your prize! Well done everyone, we loved your makes, thanks so much for joining us and grab our badge for your blog! Ok, now the business stuff is out of the way let's get onto the challenge and see all the inspiration! 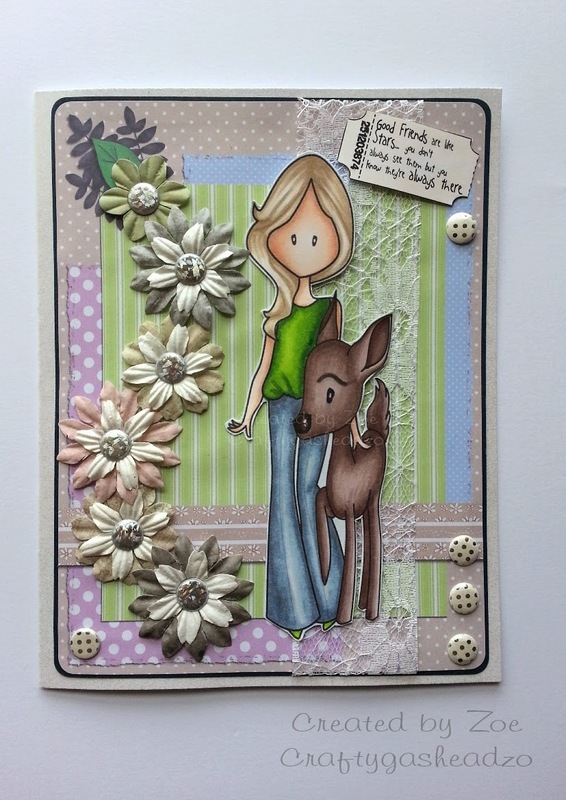 Zoe - As soon as I read the challenge theme I knew I wanted to use the Emma Canning - Deer Friend image which I coloured with a mix of markers. The image is perfect for many an occasion. I created the background using papers and elements from the Animals/nature bundle which I took into Craftartist to digitally layer and edge. I added some lace and flowers with Candi to the project to finish it off. The papers are from the fabulous new Work & Play Collection 1. The sentiment and bunting are cut from dies from Tattered Lace and the buttons are from my stash. 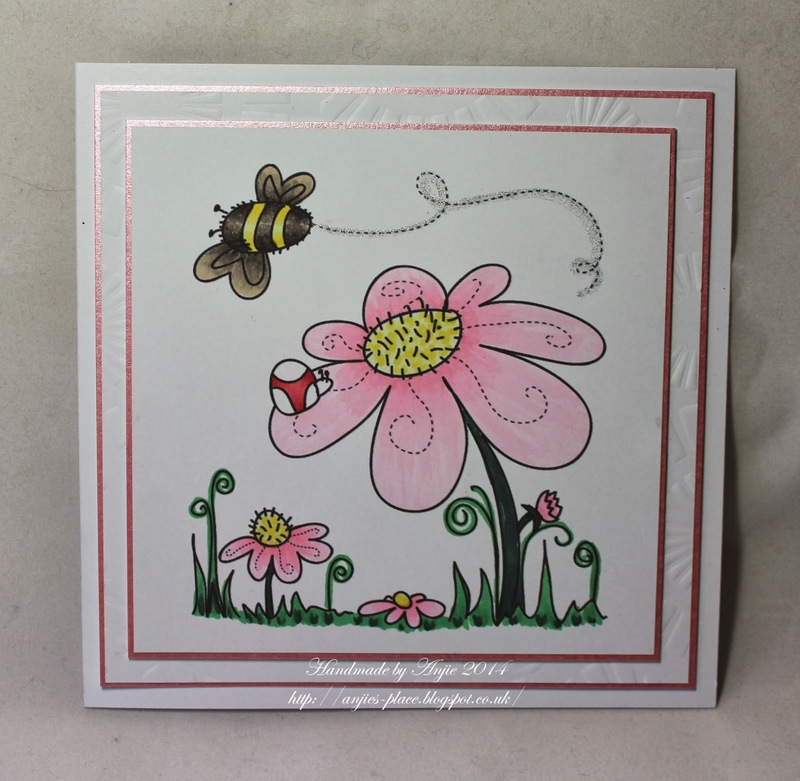 Debbi - I couldn't resist using the super cute Emma Canning Love Letter digi stamps for this weeks challenge. 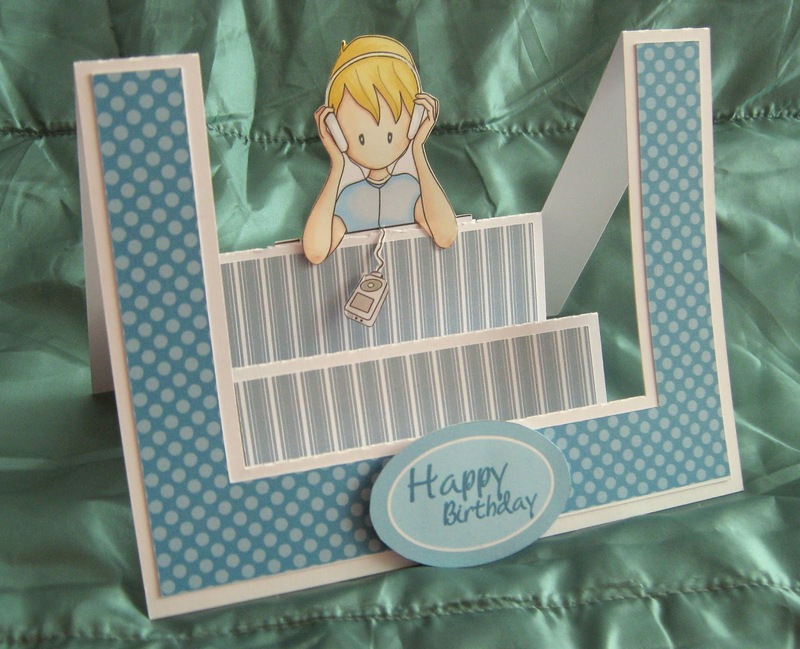 It's great fun to use the digi in a different way and using it as a shaped card. I decorated 'Ted' using the Dollie Daydream Girls Talk collection, with the striped, colourful flowers and stitching papers. I raised paws using foam pads to give a 3D look. 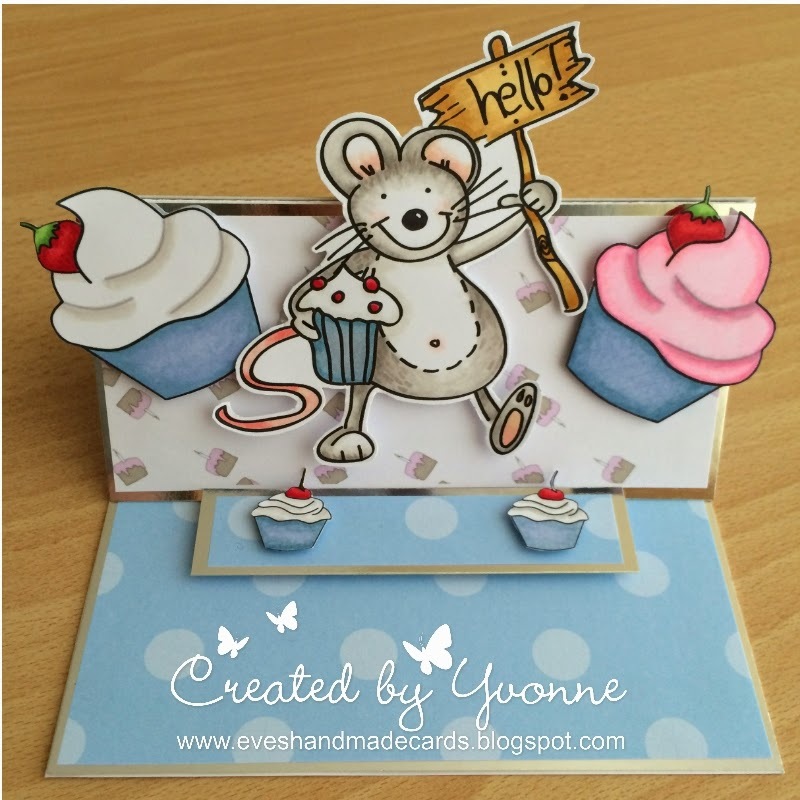 Yvonne - For this weeks challenge I decided to make an easel card and I wanted to use the ever so cute Mr Mousey which is available on instant download and you can get him here. 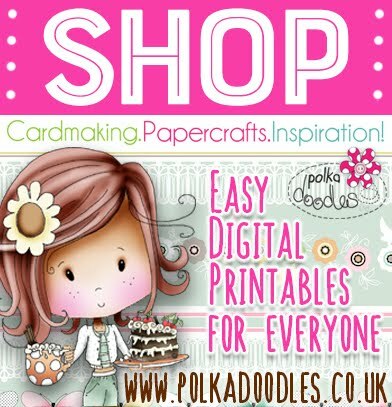 I also used Cherry Cupcake and Strawberry Cupcake which are also available on instant download from Polkadoodles. The papers are from Emma Canning Paper Wraps. 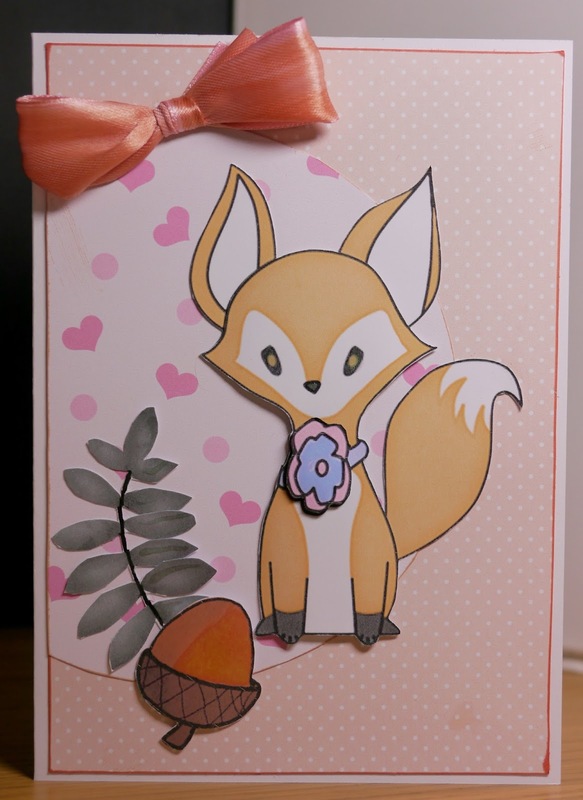 Jo- All the papers, the cute fox and the embellishments I have used for my card this week are from the Emma Canning animals and nature bundle. It is packed full of elements that all coordinate perfectly. I printed the fox three times so I could decoupage her, and I added little highlights of glaze to her nose, the acorns and leaves. Sally - So today's challenge is Animals - Ummm..... so I went to look in my stash of lovely Polkadoodle CD Roms and decided to use the Sugar Plum Daisy CD Rom. This is one of my favourites! I say that about all of them! Well, the images and backgrounds are so cute, I just couldn't resist. I printed off a background first, then an couple of bumble bees and then a couple of hedgehogs. I then printed off a sweet little girl and and sentiment. I adhered the background to black cardstock, and made a stepper card. I then cut out the bees, little girl and hedgehogs. I floated the bees on a piece of acetate, so it looks like they are buzzing around her. On the stepper front I matted the ribbon that was on the background sheet with black and added the sentiment and hedgehogs. Susan = This week I have used Papers from Dollie Daydreams Girl Talk and an image from Emma Canning Puppy Love I used Graph'it markers to colour the image Card and all embellishments cut out on my cameo. So there you go - what gorgeous makes this week!! Don't forget you have until 8th April to enter and grab those great goodies - remember to share us on your own blogs and Facebook and we will love you forever! And that means a super special offer for you when you buy any of our digis in the store! you can save a massive 15% off all our digi downloads HERE until 25th March! Yippeee - chance to grab a bargain and we have LOADS of adorable new digis in the store which were released over the past week! 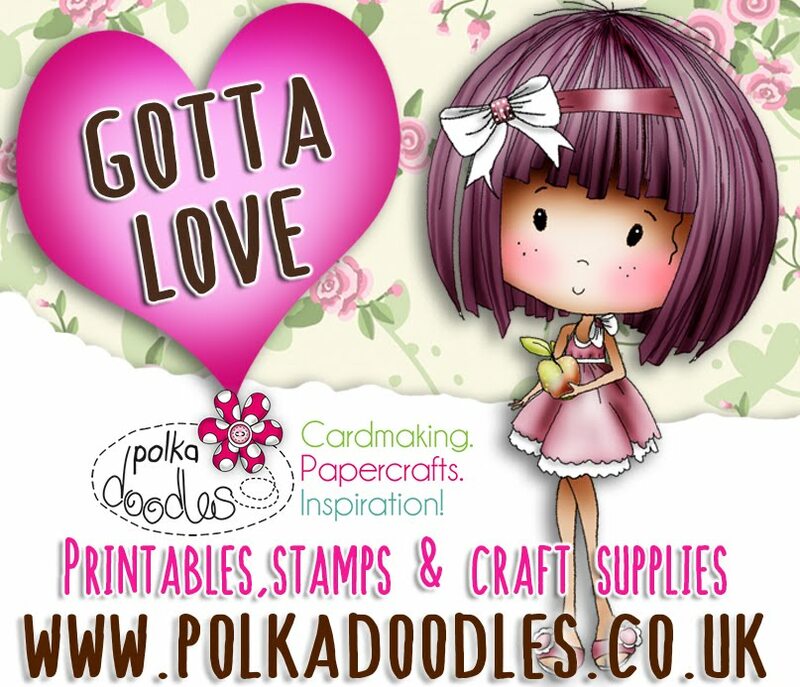 We have a reminder for you this week - Nikky will be on Create and Craft TV next Tuesday 25th March at 8am with something fabulous and brand NEW and it's top secret right now! It will be launched exclusively on the show so make sure you watch or hit record! She will also be back on the same day at 11am and 1pm for another two hours which are mega exciting and she will be teaming up with someone else - so make sure you watch these shows too because it is SO exciting!!!! You have until 1st April at noon GMT to enter and the winner will receive a free digi bundle from the store! Great prize! Our Top 3 favourites will also win a digi each and will all be on the list of prospects who will be asked to be a Guest Designer in April! Debbi - Emma Canning's new digi's have certainly made the job of making a card for the male of the species a little easier. I have coloured the Music Time digi stamp and placed it in the centre of a stepper card, which I decorated using the Boys Hoot download collection. Zoe - Usually Male/boy's cards are challenging, but the new Emma Canning's Digi images make it so easy. 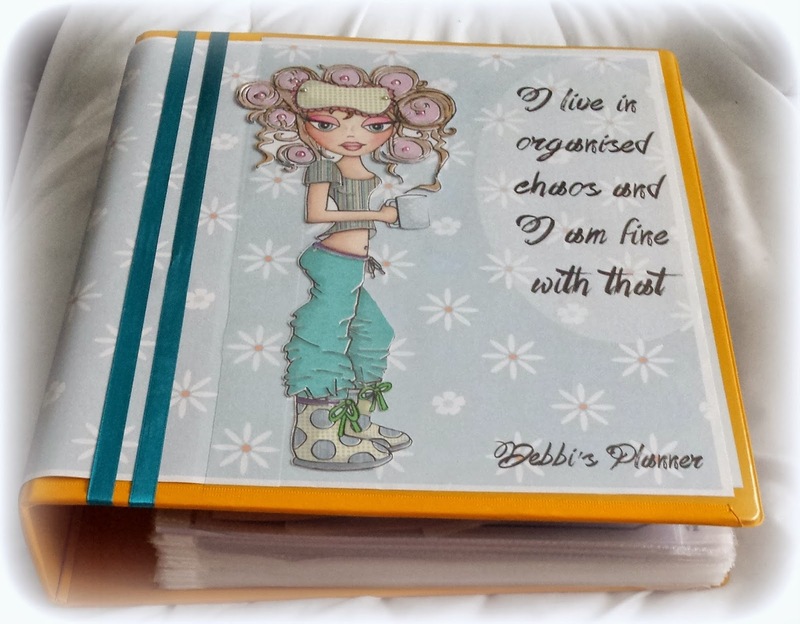 I used this fab Web Surfing image, I used papers & embellishments including Washi tape from my stash. I also used a piece of Denim material which is from the fabulous Doobadoo range. Scatty Jan Ohhhh I so loved playing this week making my challenge project - I used the fantastic Work and Play collection 1 and coloured two of the characters with Graph'it markers - The tool box paper is also from the lovely collection and cut out on my portrait. 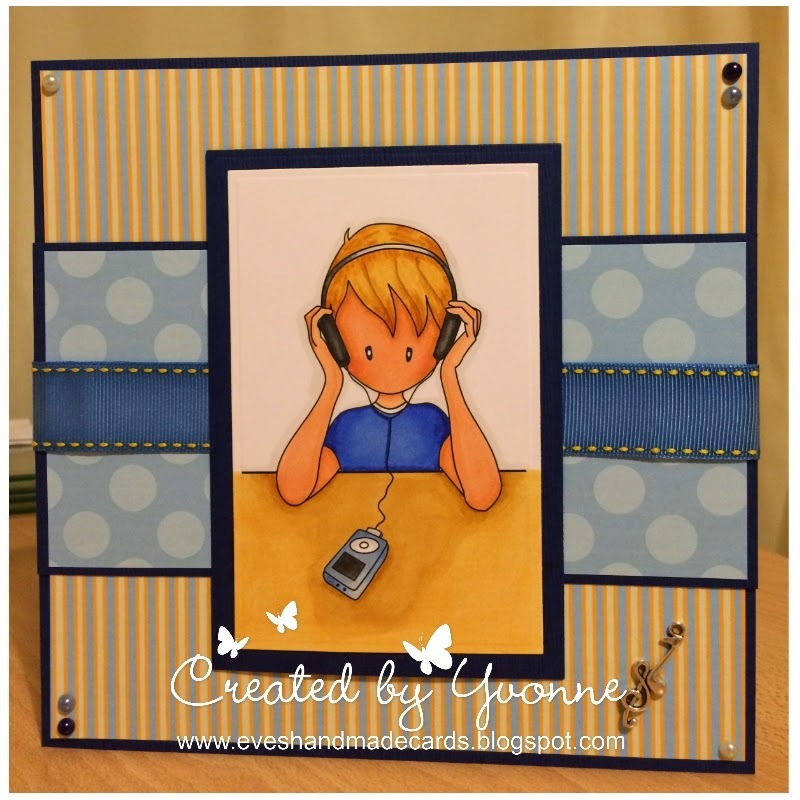 Yvonne - I really enjoyed making this weeks card, I used one of Emma Canning's new digi's Music Time, which you can get here. My other half constantly has a headphone in one or both of his ears so this image suits him perfectly! I coloured the image with my Graph'It Markers which you can get here. For the backing papers I got these from the new Work and Play Collection 1. Layered onto nice navy cardstock, with some embellishments from my stash. Susan For this weeks challenge I have used the new super cute Work and Play Collection 1 ,papers and image and coloured with Amazing my Graph'it Markers,and as usual I have used my Cameo to cut out the Dumbbells and the sentiment. 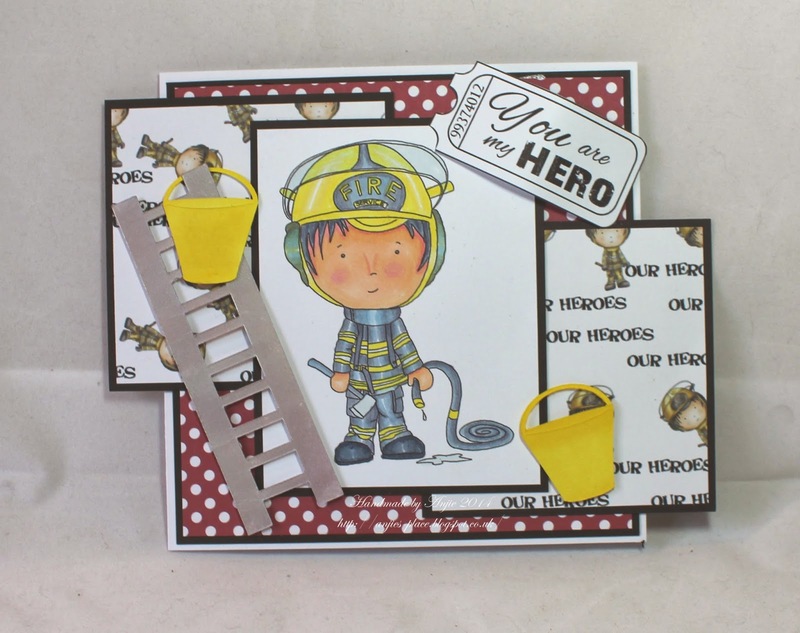 Anjie - On my card this week the image I have used is Fireman Jim from the Work & Play collection which is available as an instant download. He can also be found on the new Work & Play Collection 1 CD, which is where I got my backing papers and the sentiment from. I cut the ladder and buckets out on my Came and coloured the ladder with a Silver - Metallic Pan Pastel and the bucket with the Mimosa Graph'It Marker. Sally - Hello, todays challenge is "One for the Boys" - so I chose one of Emma Canning's images and coloured him with my Graph'it markers. 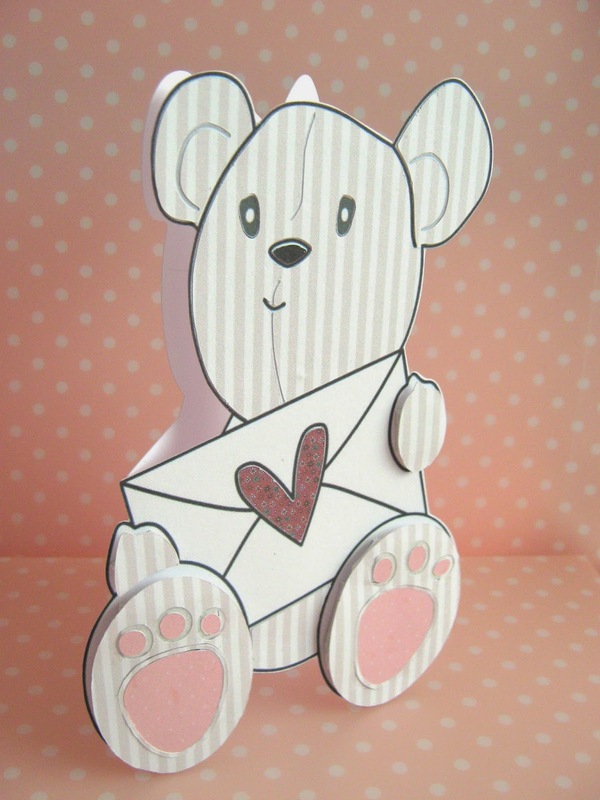 I then distressed the edges softy with Pan Pastels and adhered him to a Spellbinders die. I chose a kraft cardstock card, which I am into in a big way at the moment, matted a piece of stripey paper which I had in my crafty stash onto the card blank. Cut a ribbon, added a stack of books, which is from the Pretty Tuff CD Rom and a sentiment. A quick and easy card for the Boys! 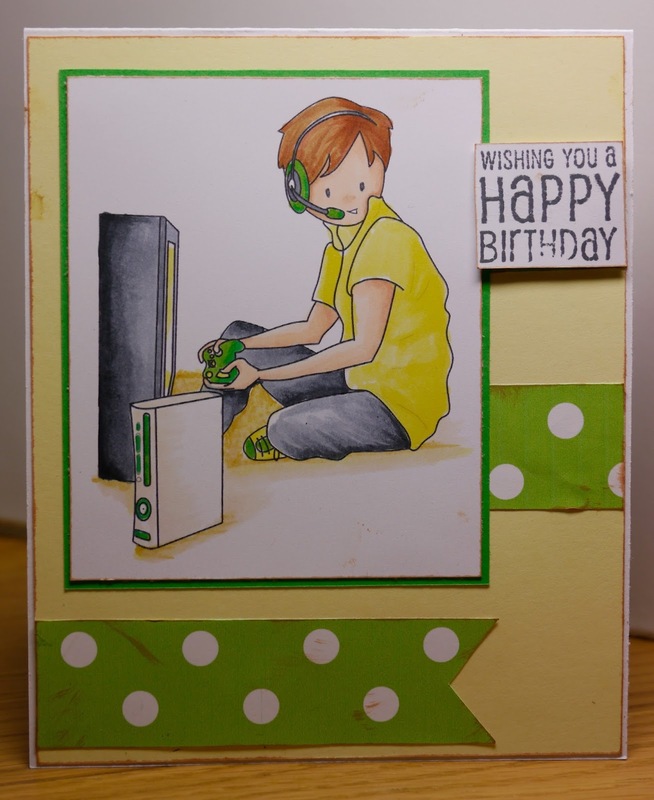 Jo- I had to use Emma Cannings Gamer Boy digi this week as it reminds me of my little brother- never off the xbox/laptop/anything with a screen. I coloured him in quite bold colours for me using a mix of copics and Promarkers and really wanted the image to stand out so tried to keep the rest of the card clean and simple, using some fab papers as a pop of colour. Don't forget you have until 1st April at noon to enter and we will see you back here next Tuesday for a new challenge. 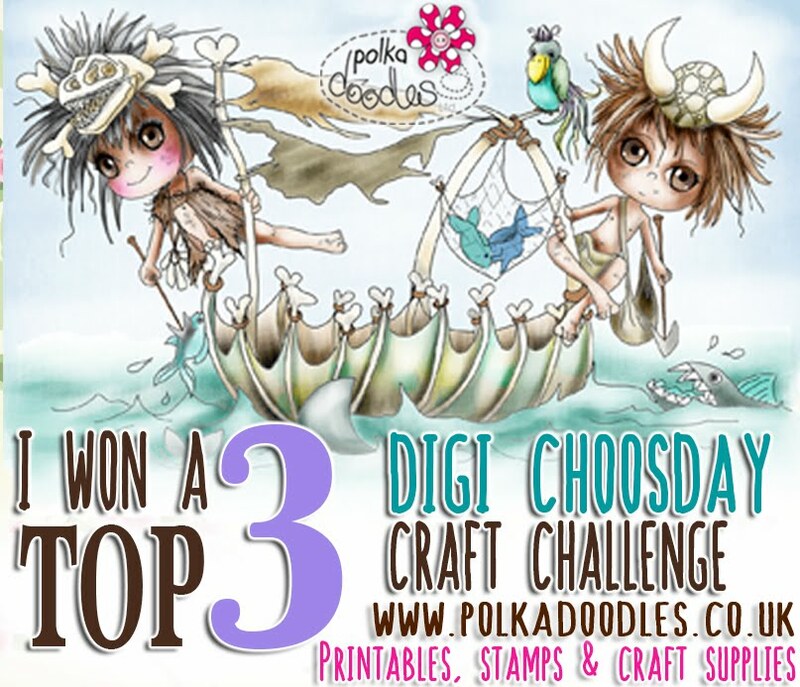 Don't forget you also have time to enter the current Polkadoodles challenge in the sidebar too! Thanks for entering the Digi Choosday challenge! Add your Link to the widget below - good luck! We have a GREAT challenge for you this week and the Design Team have really come up with the goods for you - fantastic projects this week, they've really outdone themselves! you can save a massive 15% off all our digi downloads HERE until 17th March! We want to see everything girly and feminine from you this week so show us your frillies! 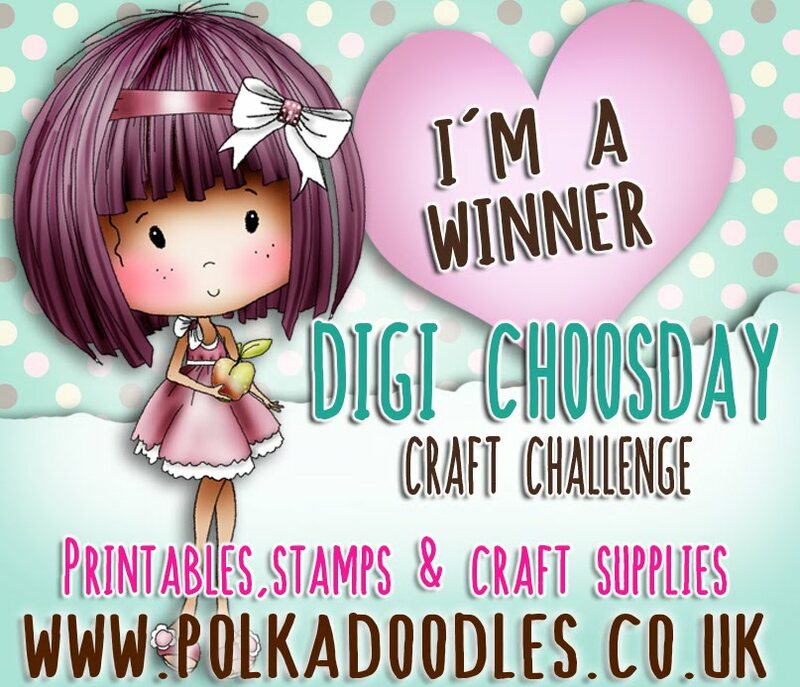 You have until 25th March at noon GMT to enter and the winner will receive 5 fab digis from the store! Great prize! Our Top 3 favourites will also win a digi each and will all be on the list of prospects who will be asked to be a Guest Designer in April! Well done! You've won a digi bundle worth £15 so please email us here to claim your prize! 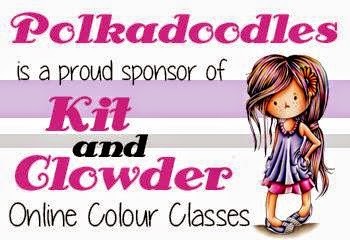 Well done everyone, we loved your makes, thanks so much for joining us and email us on the link above to claim your freebies! Anjie - On my card this week the image and the papers are from the new Work & Play Collection 1. This is such a cute collection, I'm sure there will be something there for everyone. I have coloured the image with Graph'It Markers. I have added a few die cuts and lace and flowers from my stash. Zoe - So this week I've gone all pretty for our challenge, I've used this gorgeous, pretty girl digi from Candy Doodles CD as my main focus. The papers etc are from my stash. I must point out the fence & white leaves too as they are fabulous and you can buy these and other Dutch Doobadoo products from Polkadoodles. Scatty Jan - I made a little bag this week using an image, sentiment and the papers are from the new Work & Play Collection 1 - This is an absolute amazing collection - the images are fab and the papers match so very well - I can promise you this will be one well used collection . I coloured her using Graph'it Markers. Yvonne - I LOVED the challenge this week! 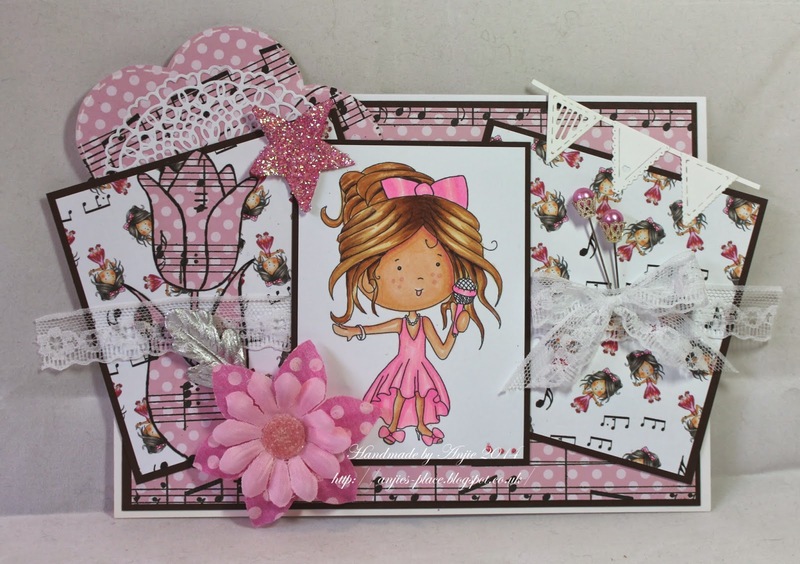 The instructions were 'go girly' and well, I love making girly girl cards, there was no contest the image this week had to be Dollie Daydream - Birthday digistamp, available here or in the Etsy Shop. I love this image and she was perfect to colour, again I used my beloved Graph'It Markers. 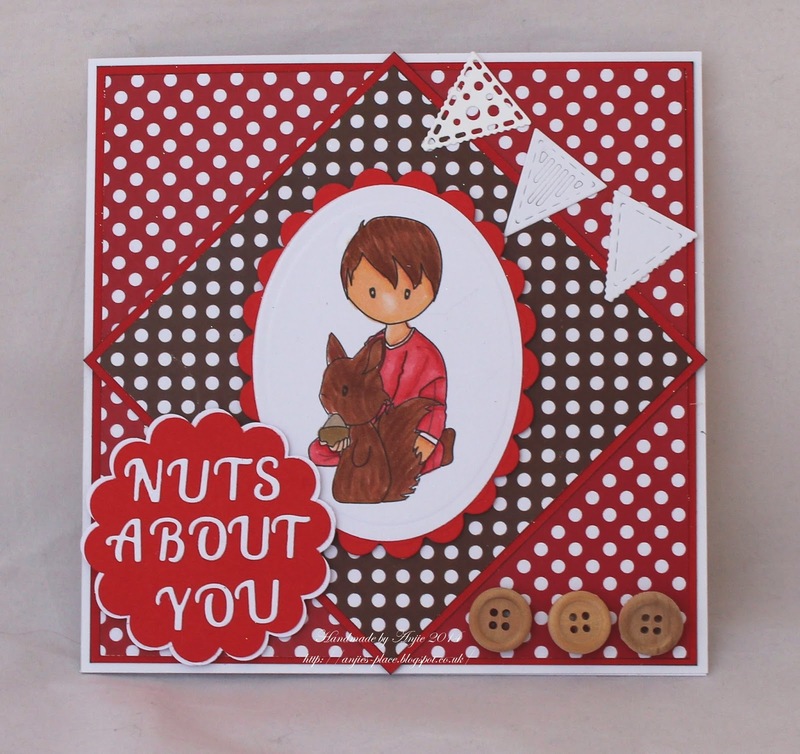 The backing papers are from Emma Canning and can also be found in the Polkadoodles Digi Downworld section. I just happened to have a paper clay cupcake all ready as an embellishment, the flowers, ribbon and bling are from my stash. 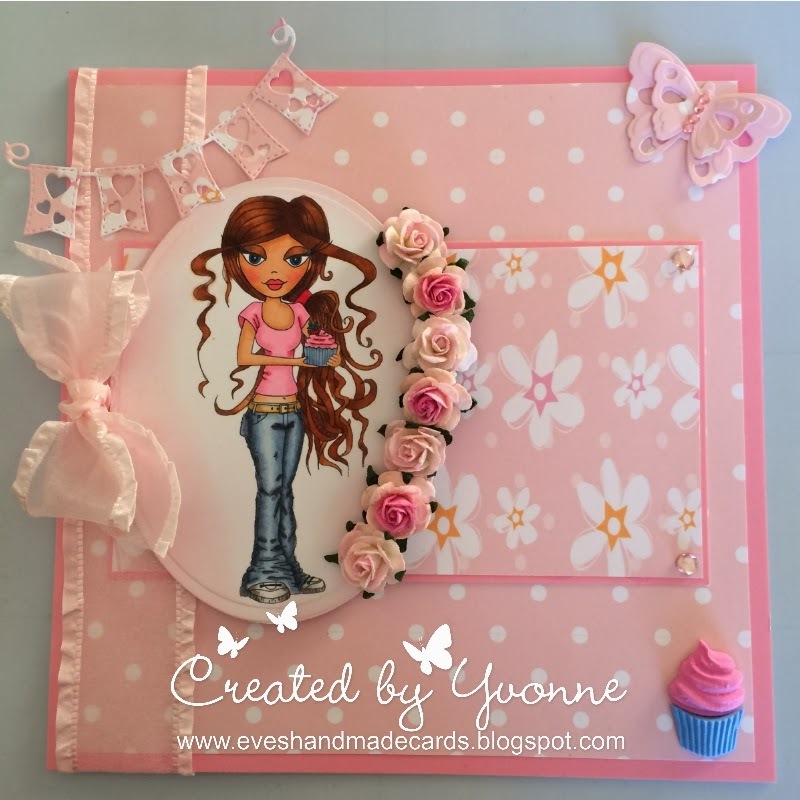 Jo- I have chosen the gorgeous Heather digi from the Bonbon Belles CD rom this week, she is so girly and perfect for a teenager birthday card. I have also used a pretty pastel paper from the Candy Doodles CD. I wanted to keep the girly-ness understated, so added a touch of lace and tiny gems to embellish the image. Work and Play collection 1 CD also available as individual download from Polkadoodles or our new Etsy Shop. I have done a quick and simple tag this week using the Jogging Jane and co-ordinating papers and something very close to my heart ,Race for Life. Sally - Hello once again. For this Digi Choosday Challenge its All about the ladies. I chose a digi image from the Candy Doodles CD Rom and then coloured her with my Promarkers. I then cut her out using a Spellbinders die (splendid circles) then chose a backing paper from the CD rom also. I then matted it on black cardstock. I cut a ribbon strip of black cardstock and put across the center of the card and the adhered the topper. I cut out two of the butterflies from the backing paper I had left over and adhered them to the ribbon strip. What a pretty card! Don't forget you have until 25th March to enter and grab those great goodies - since we moved blogs I think a few people can't find us so please please share us on your own blogs and Facebook and we will love you forever! Welcome to another Digi Choosday! Isn't this so cute!!! This is the first in a series of collections for this theme so make sure you collect them all. If you'd rather have this on CD you can order it here now, but the download will be available later on this week so make sure you keep checking the website for those great digis! As we didn't have that many entries this week we decided that our Top 3 would ALL win a prize instead. Well done ladies! Email us here to claim your prize - you've all won some digis! The Random winner of today's challenge will win a great digi bundle worth £5 and you have until Tuesday 18th March to enter so get your entries in! Debbi -The smell of spring is in the air, so I have made this pop-up card where the blooms just jump out at you. I used a cut file from Silhouette to make the card. The flowers where made using the very cute Heart to Heart download collection and I added some flat back pearls on the stamens. 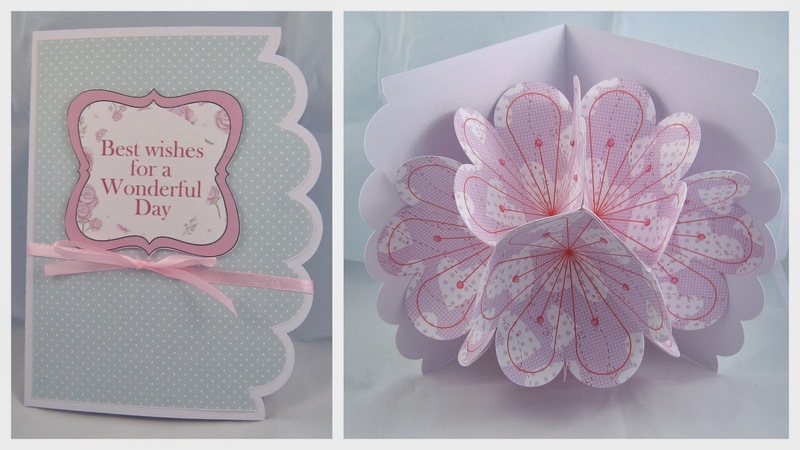 The front of the card was decorated using a babcking paper from the Boys Hoot collection and the beautiful sentiment was taken from the Cherry Blossom Lane collection and the whole thing is tried together with a length of pink ribbon. Zoe - My favourite flower is the big daisy like Gerbera. So I was drawn to this flower bundle. I printed out my chosen flower a number of times in different sizes and chose a simple colour combo to colour them. 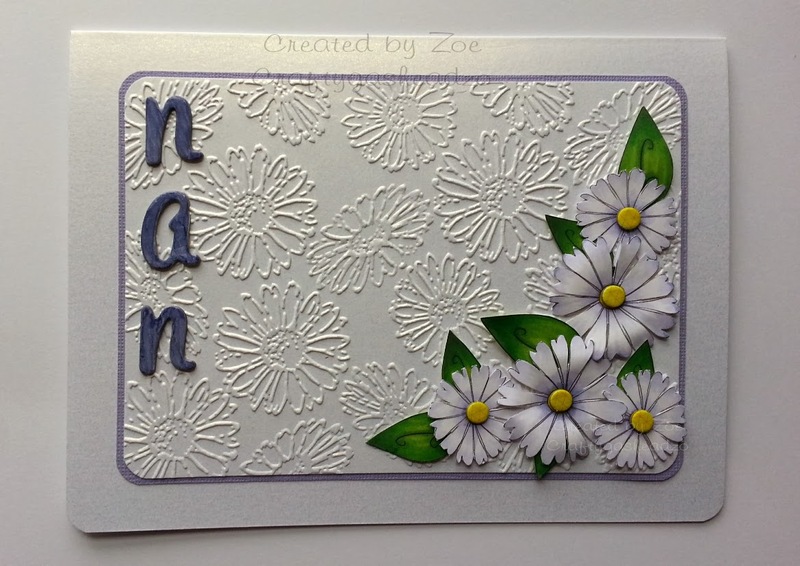 I embossed the daisy background before arranging my flowers, some letters and coordinating card to mat finished it all off. Yvonne - Hi everyone!! Enjoyed making this weeks project, I decided to make an 8x8 card, and I chose a floral backing paper from the Dollie Daydream - Girl Talk Collection, which I layered onto plain white cardstock. I printed a black and white garden image off of the Sundae of Seasons CD-Rom, which is available from Polkadoodles shop. I cut out the image and coloured it with my Graph'It Markers. Also on the same CD-Rom are the flowers from the garden image, so I cut a few out to decoupage the image. I used All Dressed Up from the Girl Talk collection, again coloured with my Graph'It Markers. The sentiment is also from the same collection, which I cut using a spellbinder die and coloured with pan pastels. I added the wooden embellishment and bling from my stash. Jo - I diecut some pretty big flowers from gorgeous spring coloured backing papers from the back to nature collection and decided to use them on the base of an easel card. 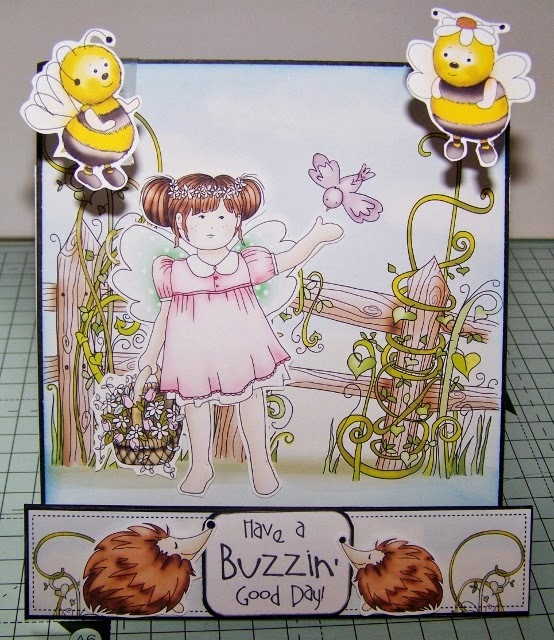 I love the impact it makes and it compliments the fab Dollie Daydream Bouquet digi stamp. It's a versatile image, perfect for Mother's Day this month. 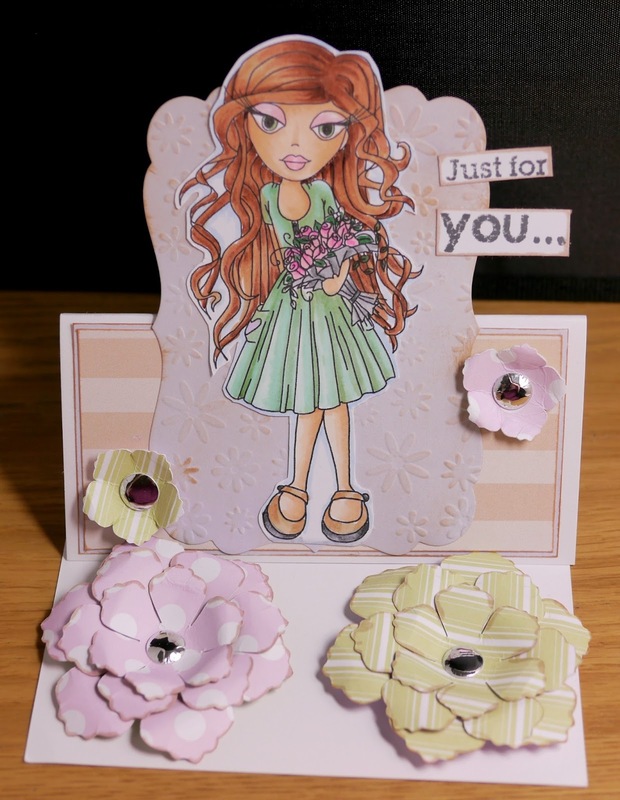 I added some smaller flowers and a stamped sentiment off the image which I hope is a quirky touch! So there you go - Spring Florals. Don't forget you have until 18th March to enter this one! We can't wait to see what you come up with!